Did Caesars Really Just Try to Unload the Rio and the WSOP? Caesars Entertainment Corp. reportedly offered to sell the off-Strip Rio and the World Series of Poker to PokerStars, a spokesman for the owner of the online gaming business claimed in an email Tuesday. The Washington, D.C.-based trade organization wants New Jersey gaming regulators to reject PokerStars’ application to operate the failing Atlantic Club Casino in Atlantic City. Caesars representatives declined to comment on any “assertions” made by PokerStars. A gambler wishing to remain anonymous hit the statewide Megabucks slot machine jackpot, totaling more than $17.3 million, over the weekend at M Resort. International Game Technology officials confirmed the jackpot Monday. 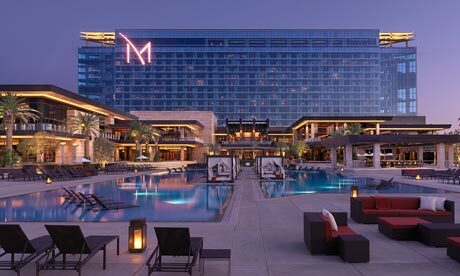 M Resort officials posted notice of the win on the hotel-casino’s Facebook page. IGT operates the Megabucks system, which is located on slot machines inside casinos throughout Nevada. International Game Technology has agreed to a deal that will see the gaming technology company provide online casino and sportsbook operator Paddy Power Plc with a range of mobile games. The mobile games included in the deal are Da Vinci Diamonds, Cleopatra, Cats, Wolf Run, Kitty Glitter and Elvis A Little More Action. 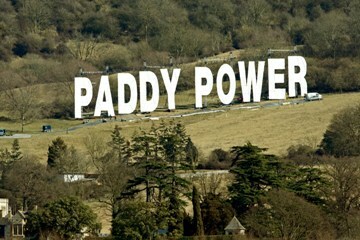 The games will be available through paddypower.com as well as through Roller, a mobile site Paddy Power recently launched. Financial terms of the deal were not disclosed. IGT officials noted that the agreement will make Paddy Power the first customer of sportsbook and online gaming software supplier OpenBet Technologies to be given access to a range of mobile products via the Remote Gaming Server (RGS) Casino. Contact reporter Chris Sieroty at csieroty@reviewjournal.com or 702-477-3893. Follow @sierotyfeatures on Twitter. Copyright 2012 Stephens Media Interactive GamingWire. 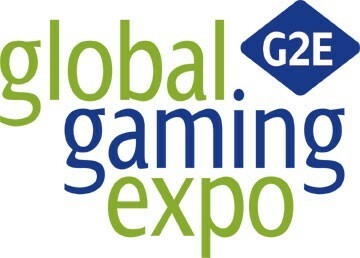 It wasn’t enough that slot machines with the likenesses of Judge Judy, Spider-Man, Dolly Parton, top NASCAR drivers, and the Oompa Loompas will be unveiled at this week’s Global Gaming Expo. The legendary rock band Kiss didn’t want to be left out of the picture. No word, however, if band members Paul Stanley and Gene Simmons will be decked out in full Kiss makeup and costume when they introduce the machine Tuesday at the WMS Industries booth at the Sands Expo and Convention Center. Gaming equipment manufacturing industry leaders believe this year’s four-day trade show and conference is focused more on the game, rather than the economic downturn that has depressed sales of new slot machines going back four years. Partners with IGT / DoubleDown #FTW? International Game Technology said Tuesday that its DoubleDown Casino on Facebook will partner with the Hard Rock Hotel, DoubleDown’s first deal with a land-based casino in Las Vegas. DoubleDown Casino will have its application hosted on the Hard Rock Hotel’s website. DoubleDown Casino is a social gaming company that sells virtual casino chips and has online slots, poker and other games. “Engaging through the website allows players to remain connected to the property … with DoubleDown Casino simply providing the gaming content,” said Eric Tom, executive vice president of global sales at IGT. Terms of the contract weren’t disclosed. The deal with Hard Rock was announced about a week after IGT, which operates in Las Vegas and Reno, reached a similar deal with Jacobs Entertainment Inc. The slot machine industry’s largest manufacturers in the past year have invested billions of research and development dollars in interactive gaming prototypes, social media casino efforts and systems, hoping to capitalize on the potential for legalized Internet gambling in the United States. 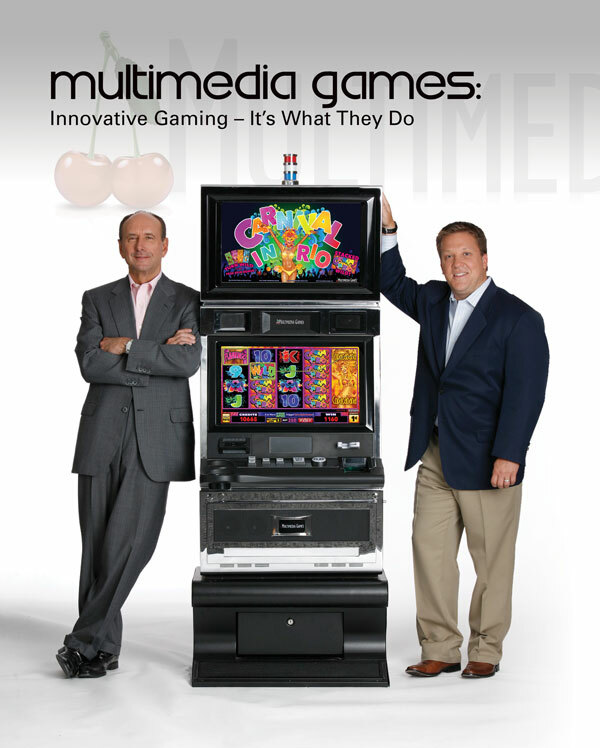 Multimedia Games, meanwhile, is growing the company the old fashioned way: It’s building actual slot machines. The manufacturer could give rivals International Game Technology, Bally Technologies and WMS Industries competition for the casino floor by next year. One analyst recently came away from meetings with company executives convinced the manufacturer is poised for years of increased game sales as it moves into major markets, including Nevada. What has held Multimedia Games back is that it can sell slot machines only in roughly 40 percent of U.S. casino markets, primarily those run by Indian tribes. Not that Indian gaming is a bad base. Casinos were hard hit during the financial downturn, putting pressure on their gaming machine and equipment suppliers. A flurry of deals suggests game suppliers are looking to reduce their exposure to brick and mortar casinos by tapping into online gambling. Shuffle Master sells and leases poker card shuffling machines. As Howard Stutz noted, the company posted healthy revenues last quarter. But Shuffle Master’s future growth may come from dealing virtual cards. In March, the company agreed to acquire the European online poker software company Ongame Network. This month, Shuffle Master and gaming equipment maker Bally Technologies inked a deal to have Ongame’s poker network operate on Bally’s iGaming platform. On June 21, Bally was granted final approval for one of Nevada’s new interactive gambling licenses. In May, gaming equipment supplier International Game Technologies (IGT) (think Wheel of Fortune) tendered an offer to pick up Sweden’s online poker network provider Entraction. One month later, IGT was another recipient of a Nevada online gaming license. WMS, the manufacturer of Wizard of Oz and Reel’Em In, recently acquired Swedish online casino company Jadestone and the social online casino game provider Phantom EFX. WMS has secured preliminary approval from the Nevada State Gaming Control Board for an interactive gambling license. A move by Nevada gaming regulators to have independent testing laboratories certify gambling equipment could result in new technology reaching casino floors more quickly. 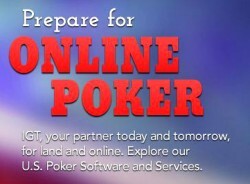 It also could mean the state’s move into Internet poker might happen on a faster pace. Last week, slot machine makers Bally Technologies and International Game Technology were licensed by the Nevada Gaming Commission to supply potential Internet casino operators with the systems to conduct, manage and monitor online gambling. The technology Bally and IGT executives said they would use in Nevada is already in use in Europe, where online gaming is already legal in some jurisdictions. However, the technology still needs Nevada certification. The systems should be familiar to Gaming Laboratories International and BMM International, the two private labs registered by the Gaming Control Board on Thursday to test equipment for Nevada. Executives for International Game Technology told Nevada gaming regulators Thursday they are in preliminary talks with U.S. Department of Justice officials concerning wagers placed before 2006 by American gamblers with Entraction, a Sweden-based online gaming operator. The slot machine developer spent $115 million last year to acquire Entraction, an online poker operator in Europe with more than 4 million players. The discussion with the Justice Department did not stop the Gaming Control Board from recommending that IGT be licensed as a manufacturer and provider of interactive gaming systems under Nevada’s newly created online gaming regulations.